Located on the main casino floors, the collection of games at Wynn Las Vegas and Encore includes Blackjack Switch, Craps, Ultimate Texas Hold'em, Crazy 4 Poker. 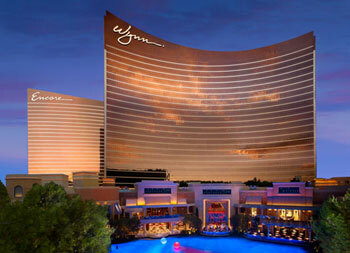 Guests can enjoy over 1,800 slot machines at Wynn Las Vegas and over 700 slot machines at Encore. Many of our slots consist of reel spinning, video reel and video poker machines in denominations ranging from $0.01 to $5,000, we've also included a number of exclusive slot experiences. Our twenty-six table poker room offers a variety of games and limits to suit all levels of play. Choose from No Limit Hold'em, Limit Hold'em, Omaha 8/B, 7 Card Stud, Pot Limit Omaha and mixed game combinations. Limits range from $1/$3 up to $100/$200 and higher. Enjoy the excitement of a Las Vegas sports book in the comfort of a lounge setting. The Wynn Las Vegas Book offers bettors the opportunity to wager on current and future U.S. sporting and racing events.